Haven’t we all been in meetings in which the conversation strays off course? I’m sure we have all left meetings at some point wondering what was actually accomplished. One common reason these things happen is that meetings can go off course when a person wants to bring up off topic items into the discussion. This is not to say that the topics brought up are any less valuable, but are just not necessarily of direct use to the goals of the current meeting. However, if the meeting is not steered back to its original agenda and goals, it imposes the risk of carrying the entire meeting in a different direction and not achieve any positive outcome. In order to overcome such a situation, you have to take a call on whether the new topic is worth investigating later; and if it is, you “park” it for another time which in turn will allow you to keep the meeting on track. By adding the new topic to the parking lot, you make sure that it will not be forgotten as it is documented for discussion in the future. 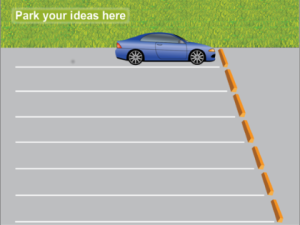 The parking lot feature is also a great way to acknowledge the value of an idea while at the same time stick to the agenda which is essential for an effective meeting. It helps build a team culture where everyone is heard, and yet meetings are steered towards its goals in achieving the desired outcomes. Please Note: Parking an idea doesn’t necessarily mean that you don’t get to discuss it at all in the current meeting. If you have time before the end of the meeting, you can pick it up. Wizergos provides built-in parking lot facility that allows you to create a new topic in your agenda and include any attachments, thereby, acting as a great platform to maintain a backlog of Agenda Items. Want to give a try? Click here.